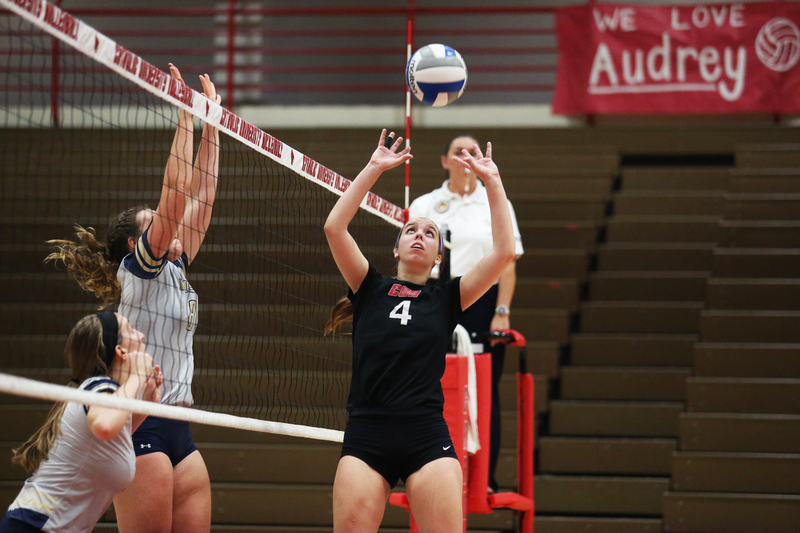 In their final match in the DuFour Center court of the 2015 fall season, the volleyball team at Catholic University was victorious over Gallaudet University on Thursday, October 28th. The Bison of Gallaudet took the first set of the match, but the Cardinals responded well to win the following three on their way to a 3-1 win. The victory gave head coach Nagy Abdelrazek his 500th career win in his 23 seasons of coaching, all at Catholic. The Cardinals’ record now stands at 16-15. Before the game, the team’s lone senior, Audrey Bizak, was honored on her senior night. The Class of 2016 middle hitter recorded 6 kills on the night in front of her teammates and parents. Junior outside hitter Mary Paige Nesfeder hitter led the charge with 17 kills and 14 digs in an impressive performance. Sophomore Brynn Cooley added 9 kills and 14 digs of her own as well. Libero Michelle Bouchard led the team in the digs category with 17, and setter Michelle Seals collected 38 assists for CUA. Catholic started out slowly in a 25-20 loss in the first set to the Bison. They rebounded nicely with a 25-14 win to equalize. They took the important third set by a narrow margin, 25-23, and then closed out the historic win with a third set victory 25-21. The team celebrated Coach Abdelrazek’s 500th win after the match. “As a coach he works really hard at making us into the best players we can be. Achieving 500 wins in his CUA career just goes to show he never gives up on his players,” Bizak said about her head coach. The Cardinals have clinched the 4th seed in the Landmark Conference, which sets up a semifinals matchup with the 1st-seeded Juniata. The match will be played at Juniata on Wednesday, November 4 at 7 PM.